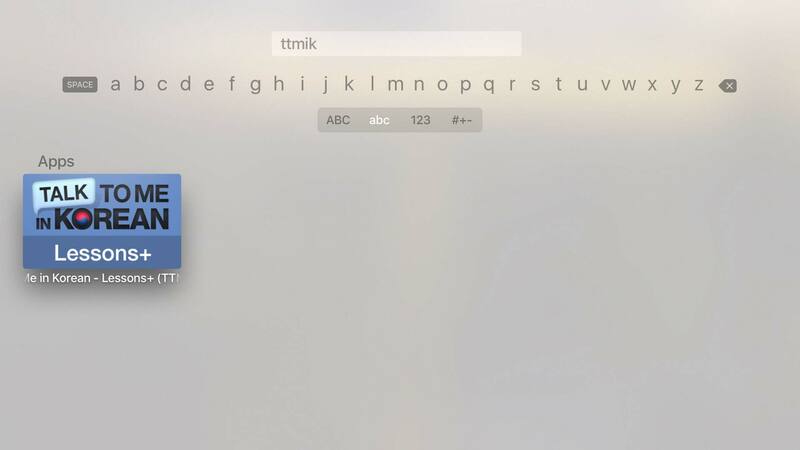 How to Buy TTMIK for Apple TV | Technical Data Freeway, Inc.
Now on tvOS for the Apple TV! To purchase Talk to Me in Korean – Lessons+, simply search for the word “TTMIK” on your Apple TV. Select the icon for the app that appears, and it should take you directly to the App Store page. If you have an existing App Store account, click to purchase. The application will download and install automatically and the store will keep you up-to-date with new versions as they are released.